November has come to an end, Black Friday and Cyber Monday has started the busiest shopping season of the year. I had high expectations for the month of November and it delivered. 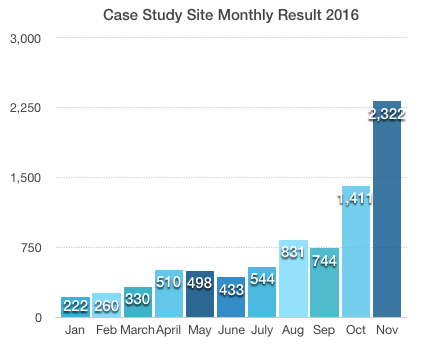 I’m excited to share the November 2016 Amazon case study numbers with you. 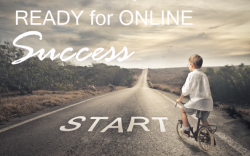 The best month this far for this site on all levels, we beat the visitor record, the number of sales and the income amount earned, I share all those details with you in this article. Why Share These Stats and Income Numbers? I got this question, the other day – Why do you share your stats and income numbers publicly? There are many reasons for this, but the main one is so that you can get a realistic view of what it takes to run a site that makes money with Amazon. With this project I want to be as transparent as I can. I want to provide you with the traffic, income, all the numbers that I feel contribute to the success of a site. I want to do this so that you can see a case study, based on real numbers, so that you have realistic expectations of your own site. I feel that this industry is so built up on hype, with crazy unrealistic statements like “Make 10K within 2 weeks” that it has many quitting before they even give it a real chance. If you think you will make 10K within 2 weeks and that doesn’t come true even after 4 months… well some might throw in the towel. With this case study I want to show you the journey of a website. 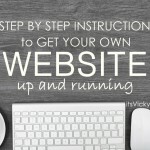 That if you work hard, put time and effort in to your site, with time it will be worth it. These are MY numbers and results; your outcome might be completely different. What Is this Case Study Site Based On? It had to be based on an evergreen niche, I went with the health niche. The site has to be hands-off, so most content is outsourced. Organic rankings I don’t pay for any traffic, the content submitted is helpful and slightly keyword optimized so that it ranks in Google and other search engines. It’s monetized only with Amazon. I currently work with 5 sub-niches. Some of them are ranking very well, some of them are still “work in progress”. The exciting thing is that many of the posts outrank, big box stores for specific keyword phrases. A couple of those sub-niches are focused on issues that relates to the winter months, which naturally gives the site a boost during the cold months. 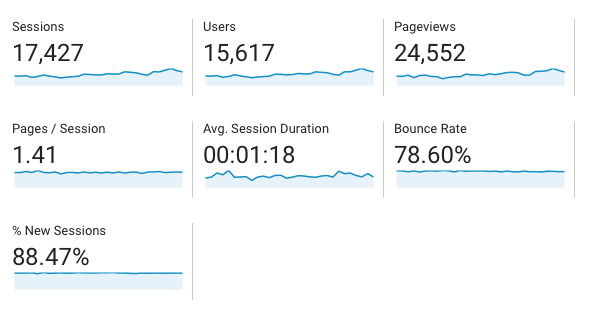 With that being said let’s take a closer look at the traffic numbers for November. The main traffic source is organic traffic, mainly from Google but also from Yahoo, Bing, and aol. The average daily user count went from 400 in October to 520 in November, that’s a great increase. It looks like the targeted “winter keywords” are starting to show results, must say that I’m very happy with the improvement. There seem to be more daily visitors at the end of November compared to the beginning of the month so hope this trend continues through out the month of December. The session duration is dropping a little but if I look at the top 10 Avg. time on page it’s 3.11, which is good. It means that my content is engaging and people find it helpful. Most content submitted to this site is outsourced content, I talked in detail about this last month in the October Amazon Case Study. I’ve been through some hiring issues but think I found a solution. Through out the month, I’ve worked with a few different new writers, and I finally think I found a good one that I will keep for the long haul. A question that I get a lot is what kind of pages and posts are ranking well? For this site, top 10/ top 5 posts seem to be doing really well. Also, in-depth reviews, along with informative content make up my most visited posts and pages. Since I depend on organic listings for this site, I like keeping an eye on the keyword ranking results. Is the amount of keywords, that I’m ranking for increasing? Do I gain or lose listings? It’s been a positive trend for months, which I’m very happy about. November continued that trend. We are up from 4.5K to 4.7K keywords. We also see a jump in spot 1-3 Google listings, 97 compared to 93 in October. The more Google tops 3 listings we have the more traffic. The chart looks a little funky, displaying January, when it should be November, not sure why that is, will check back in a day or so to see if they updated it. SEMRush (where the above screenshot is taken) is my to go to tool when it comes to checking my keyword data. The one thing that do concern me a little, is that I see some decline and lost keywords. In the past we’ve had more new and improved keywords than lost ones. Right now the number for new and lost are pretty similar. I will have to do some digging on this, to see what caused it. When checking the rankings I always check if there is anything going on with Google, if there have been any updates that can cause changes in the rankings. 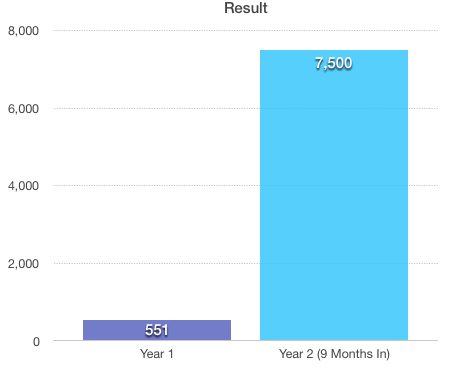 Breaking the 1K mark last month and the 2K mark this month, I’m happy with the result even though I did not double the income like I was hoping for. The end of November was great, hoping that will carry over into the Christmas month of December. Looking at the growth of the site from October last year to April this year, it has been steady monthly income growth. I’m curious to see if the site will continue that trend or if that was due to the site being new. Since we have a peek this year for October and November, will the steady growth continue into the beginning of next year or do we see a holiday peek? I’m obviously hoping for continues steady growth, due to the winter months, but the future will tell. One thing that I will start monitoring closer now when I have more traffic is the relationship between visitor count and $. October had 12.393 users and the site made $1529, before expenses, that’s 12 cents/visitor. November had 15.617 users and made $ 2.321.96, that’s 14.9 cents/visitor. Is the increase due to the holiday months? My guess would be yes, but we will keep an eye on this number going forward. 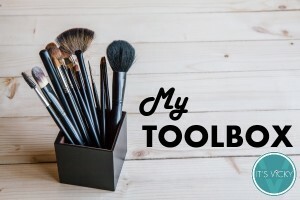 I take use of a lot of tools, here are a few of the ones I use. Is this your first time reading this case study? Feel free to catch up with previous reports here! Congratulations on the success. Always love reading your reports. They keep me motivated. I’m wondering whether you have tried the new Amazon mobile pop over Ad type? They seem cool and display relevant ads. I saw couple of top websites use it and I implemented it in my top season traffic website about a month ago. But I just checked the amazon earnings for them today. For the last 3 weeks or so they have got 2500+ impressions. CTR is very low, only 1% and I’ve earned only about $5 from those sales. Same time my text link ads have made over $1k with season traffic. So I’m going to remove them, but just wanted to get your advice about them. Thank you for subscribing, I promise I will deliver some good stuff. 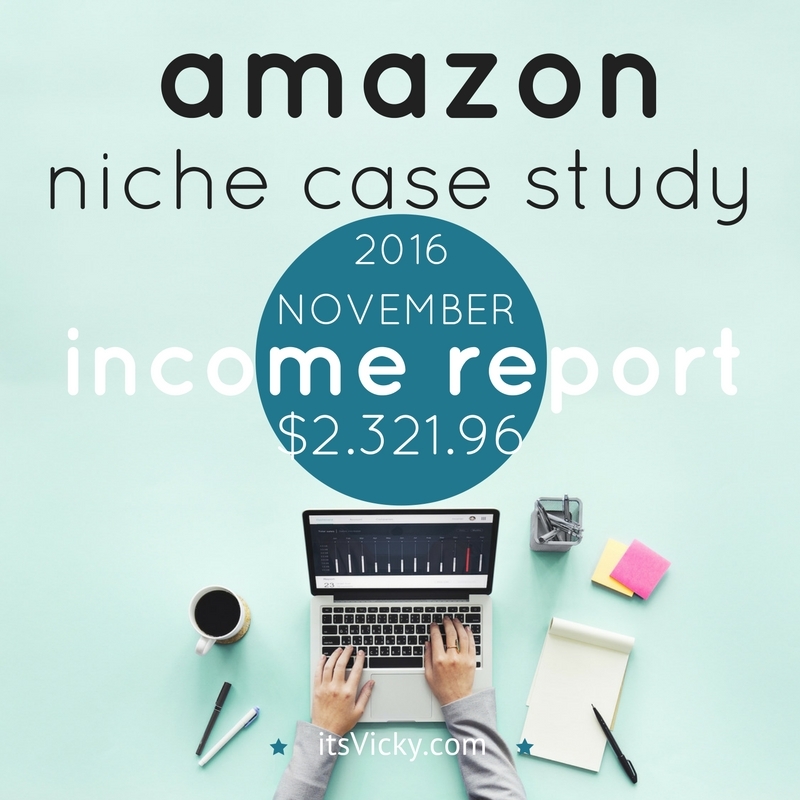 I am in the make money niche right now with Wealthy Affiliate and I must say after reading how well you are doing with Amazon, I may just have to start another niche! It seems like you are doing very well for yourself. I see so many people online say bad things about how you can’t make money with Amazon and how it is just a waste of time. Clearly, they are mistaken and just didn’t give the good effort as you are. The way I see it is there are two types of people when it comes to making money online. Those who try it for awhile and quit because it’s not an instant success and those who put up the numbers and are in it to win it! 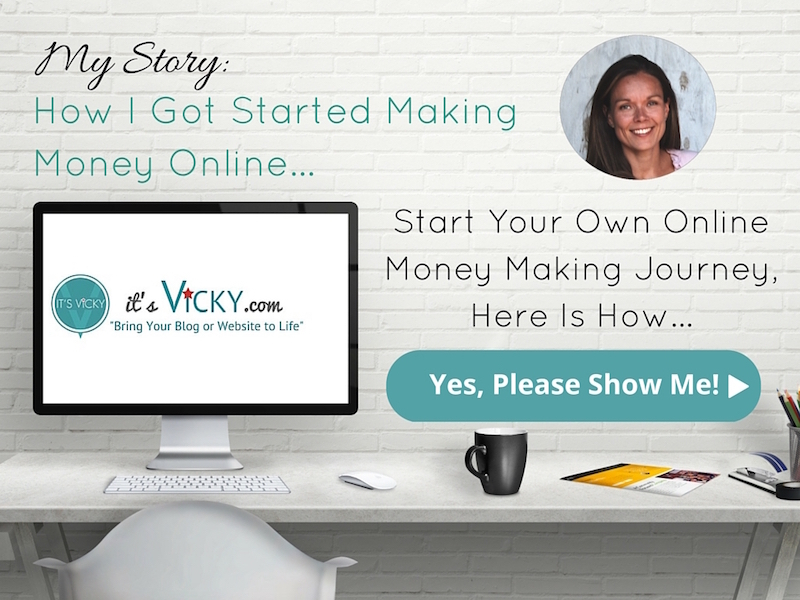 This is a very inspiring report Vicky thanks for writing and sharing! I’m glad I took the chance though. I decided to find out for myself, I decided to do this case study to record how things were going. As you can see it took quite some time before the site made some decent money. I think there are many reasons for that but I wanted the site to be hands off with outsourced content, so I didn’t pay too much attention to it from the beginning. It was a “test” site. What a great month you have Vicky! Congrats on another record month! I always love checking your reports to learn from them. 🙂 Thank you so much for your update!! Looks like December is going to be pretty good as well, so feel free to come back for the December update. This is fantastic and inspiring. Thanks for sharing. It helps tremendously. I also use some of these tools like Aweber, Google Analytics, SumoMe, and Wealthy Affiliate. I’ll check out the other tools you mentioned. If you use Amazon, EasyAzon is really a good one. Hi Vicky! This is very interesting reading indeed and very encouraging to know one can actually make money with Amazon. The low percentages have really discouraged me to be honest! I just started my website 2 months ago and during November, I made with the help of some heavy organic, non paid advertising by my friends, a whopping 74.50USD 😀 I am expecting this to grow the months to come, once I start attracting more traffic to my website. I’m right there with you when it came to being skeptical of the low Amazon commissions. That’s why I waited for years to actually give it a go, now I’m kind of glad that I started my “test” site. The thing is though that you increase your commission percentage pretty quickly. You start at 4% but that can be bumped up pretty fast. Wow, I’ve been using Amazon Associates on and off for a few years now and it’s great to read something so in depth like this. I especially liked the way you included a lot of info about the keywords targeted – I feel that this will help me a lot as my SEO levels are not exactly professional at the moment! One question mind – what do you mean by ‘evergreen niche’? Is this a niche that is super popular or do you mean a niche that will ALWAYS be popular? Sorry, it’s just a term I would love to know more about! I wish I could expose the actual keywords but I have to draw the line somewhere with my transparency, unless I want the keywords and site stolen. Sadly this happens more often than one might think. Evergreen niche is a niche that will be around for a long time. This is health related and there will always be people having these kind of issues. Now if you would go with promoting “iPhone 6” that would not be an evergreen niche. It will be popular for a while but be gone within a few years. 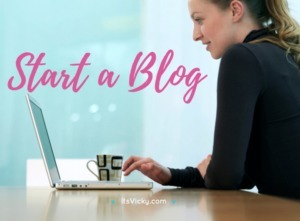 Hi Vicky, great post! I love how you are so transparent with your earnings. 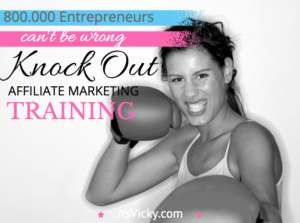 It has actually motivated me to keep going with affiliate marketing and the money will come. I’ve heard that the last few months of the year are usually good months in the lead up to Christmas, is this what you find? I think my site is a little to young to capitalize on the Christmas shoppers, but it’s something I will definitely target next year. I’ve actually outsourced some of my article writing too and finding a good writer is the key. Where you do outsource your articles from? Yes, as you can see on the monthly income chart, it took me a while to get to a decent income. Good months with Amazon, depends on your niche, but in general I would say that most will see a peek during the holiday season. People just shop more around the holidays and since you get credit for it all, it gives you a bump. Since a few of my sub niches are related to the winter months, I’m hoping that beginning of the year will be decent as well. I hire my writers from Upwork, former odesk. With some digging you can find really good writers there. Interesting read. Outsourcing articles isn’t something that I have considered, until now! I think writing articles and reviews is definitely the biggest challenge when trying to add quality content. However, I’m not sure if it’s something I could do in my niche. My niche is in technology and reviewing tech products takes some knowledge. Maybe you can give me your thoughts on this. I have a site in the technology niche where I outsource ALL content, you can get field expert in any niche. For the case study site, I only hire writers with some medical background since it’s in the health niche. Writers have all kinds of backgrounds, finding the right writer for the job is the key. I like Fiverr for some outsourcing purpose, I would NOT hire my writers there. I tried it and it was a headache. 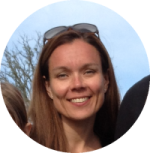 Now I use Upwork and find writers that I can work with long term, much better set up. Hi Vicky, congratulations to your stats, they’re pretty impressive. I would like to know how you’re handling traffic from various countries? Any URL cloaking plugin? I use a plugin/tool called EasyAzon, that helps me earn commission from all around the world. 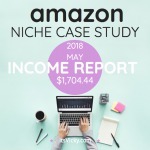 This tool does not only help with earnings, it also makes it super easy to submit amazon links, images and info boxes. You can read my review here to see if it’s for you. For sure the best way to find things out is to try them yourself!